We’re expecting as many as 5 new KTM bikes to be present at the Auto Expo 2018. The KTM Bikes at Auto Expo 2018 should comprise of the much awaited KTM RC250 at one end and the might KTM 1190 Adventure R at the other. Read on for our full report on the upcoming new KTM motorcycles at the next Delhi auto show. 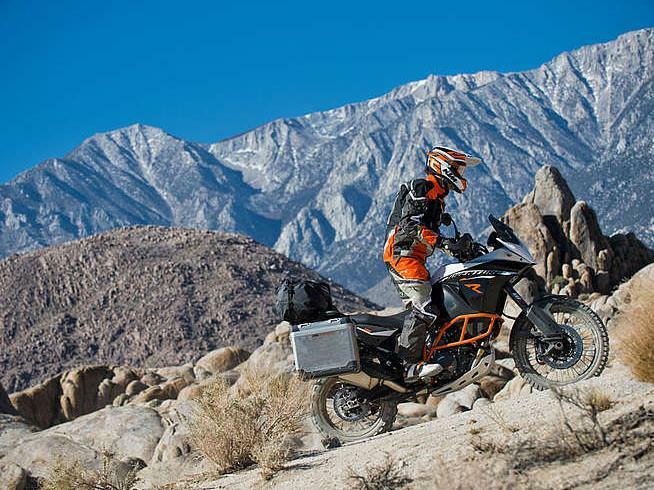 The KTM 390 Adventure is likely to launch in India by the end of current financial year. It’s expected to make its India debut at the Auto Expo 2018. 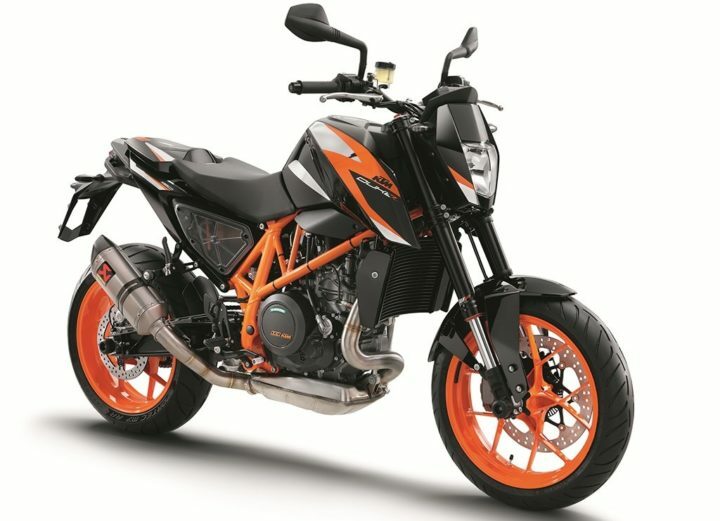 The 390 Adventure is easily the most awaited of all upcoming KTM bikes in India. 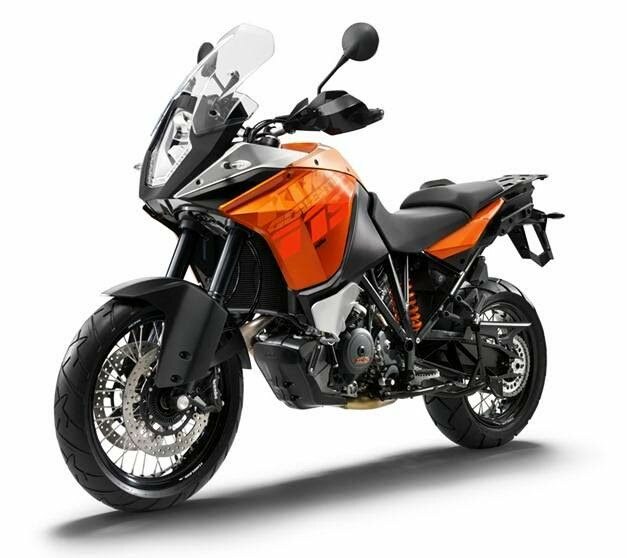 The 390 Adventure is based on the 390 Duke but carries several updates to become a worthy adventure tourer. Prices could start around Rs 2.3 lakh. The 390 Adventure, once launched in India, will become the only adventure-tourer in its segment. Thanks to a front fairing with a large windscreen, the Adventure 390 should be perfect for high speed runs on winding roads. Yes, KTM will also launch a Scrambler motorcycle that is based on the 390 Duke. 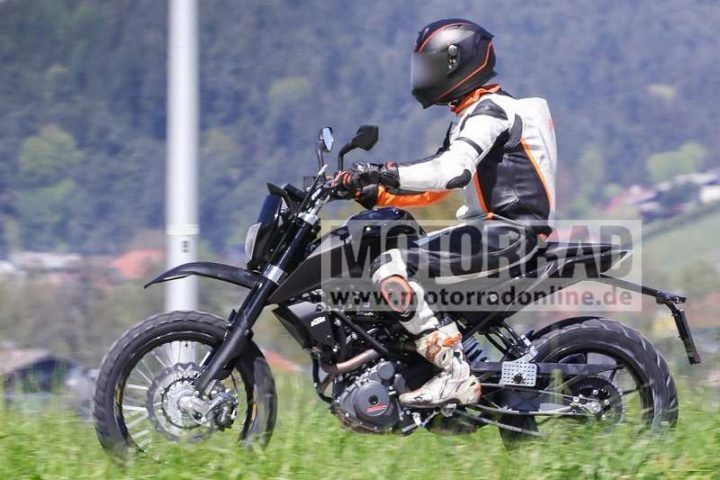 The upcoming KTM Scrambler motorcycle is likely to make its public debut at EICMA 2017 and will be produced at Bajaj Auto Ltd’s Chakan facility. It will probably launch in India by the end of 2018. However, we do expect the KTM 390 Scrambler India debut to take place at the Auto Expo 2018. Thanks to a long travel front suspension, on-off road tires and a punch motor, this bike will be sufficiently capable off the road. Dimensionally, it will be similar to the Duke 390. Yes, the RC250 could make its India debut at the Auto Expo 2018. This bike is to the 250 Duke what the RC200 is to the Duke 200 and what the RC390 is to the Duke 390. With the Duke 250 already on sale in India, the RC250 is finally looking all set to join the KTM India lineup. The launch of this motorcycle could happen around May 2018. Prices are likely to hover around the Rs 1.9 lakh territory. The upcoming KTM bike is powered by a 248.8cc, Fuel-injected, single-cylinder, engine comes mated to a 6-speed Manual Transmission. While KTM has so far refrained from divulging the launch details of the Duke 690, it’s pretty much for sure that this bike will eventually come to India. KTM India could showcase this motorcycle at the next auto show to gauge the public interest. The KTM 690 Duke has a top speed of 195 KMPH. It offers as many as three riding modes to enhance the practicality. This bike has a rather high ground clearance of 192 mm. It gets 43mm upside down WP forks at front and a WP monoshock absorber with Pro-Lever linkage at the rear. When launched expect this bike to cost upward of Rs 4 lakh. Even the mighty KTM 1050 Adventure is coming to the Delhi Auto Expo 2018. 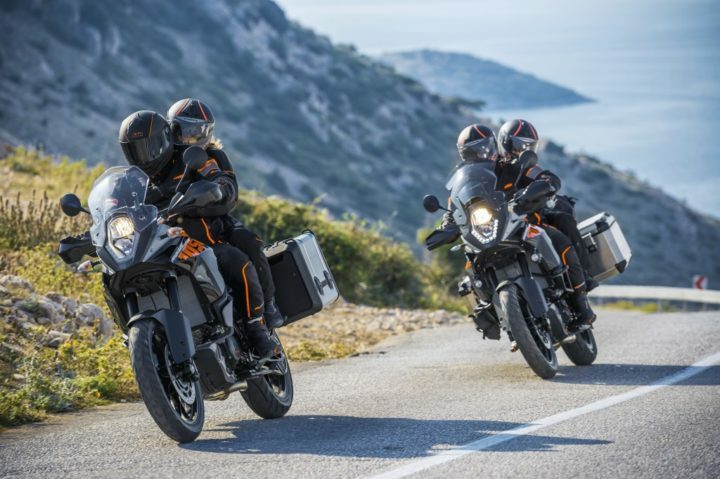 The 1050 is a replacement for the 990 Adventure and the new motorcycle will be manufacturer here, in India. It will have a sticker price of around Rs 10 lakh only. The upcoming KTM motorcycle for India offers multiple riding modes. Taking care of the uspension duties are WP USD forks at front and WP preload-adjustable monoshock at the rear. Braking force comes from the excellent Brembo-sourced calipers. The new motorcycle is powered by a 1050cc 75 degree V-twin LC8 engine that pumps out a max. power of 95 HP. In India, the new KTM motorcycle will end up rivaling the likes of Triumph Tiger Explorer, Kawasaki Versys 1000 and Suzuki V-Strom. KTM 1190 Adventure R is likely to become the most expensive KTM bike in India. Expected to be the show stopper among all the KTM Bikes at Auto Expo 2018, the new 1190 Adventure R comes with Bosch’s new motorcycle stability control (MSC) system. This motorcycle gets its power form a 1195cc, 2-cylinder, 4-stroke, spark-ignition engine that has its cylinders in a 75° V arrangement. The motor is liquid-cooled. It sends power to the rear wheel thru a 6-speed Manual Transmission. The engine outputs a maximum power of 148 BHP @ 9500 rpm and a peak torque of 125 NM @ 7500 rpm. This upcoming KTM adventure bike has a fuel tank of 23-litres. 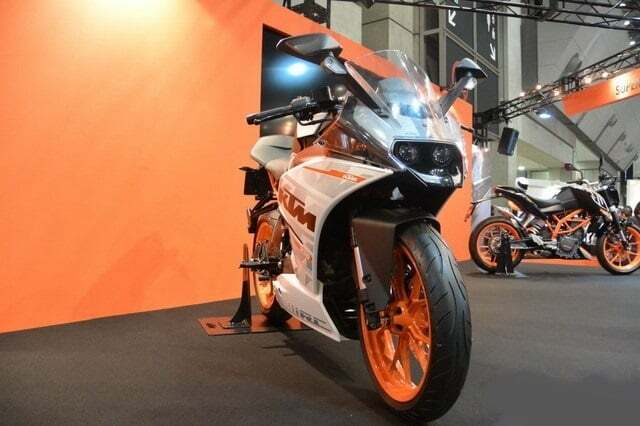 The new bike is likely to come to us with a sticker price of Rs 14 lakh. This one here has to be the most promising of all the upcoming new KTM bikes at Auto Expo 2018. 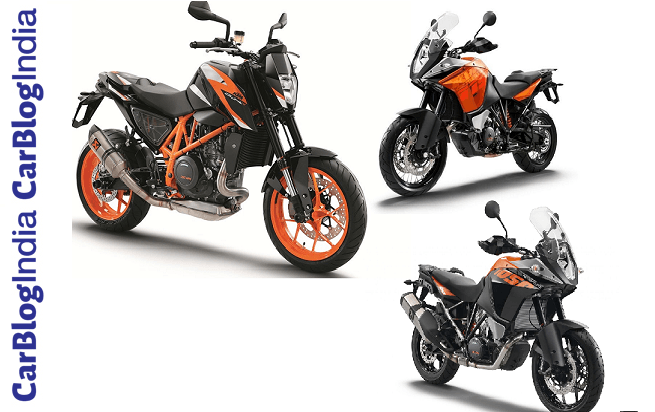 So, which of these upcoming new KTM Bikes at Auto Expo 2018 are you waiting for? Do share your answers in the comments section below. For latest developments and news updates on the Auto Expo 2018, stay tuned to Car Blog India.